Picking toys is not easy and there is a toy website called ebeanstalk who has great baby toys and toys for 1 year olds etc. They are dedicated to selecting good, safe learning toys. 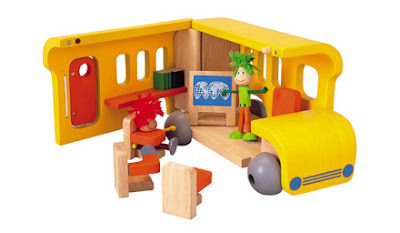 The toy they sent us to review is called “Activity Bus” from Plan Toys, who makes eco-friendly wooden toys . I really like toys that encourages my son to use his imagination. 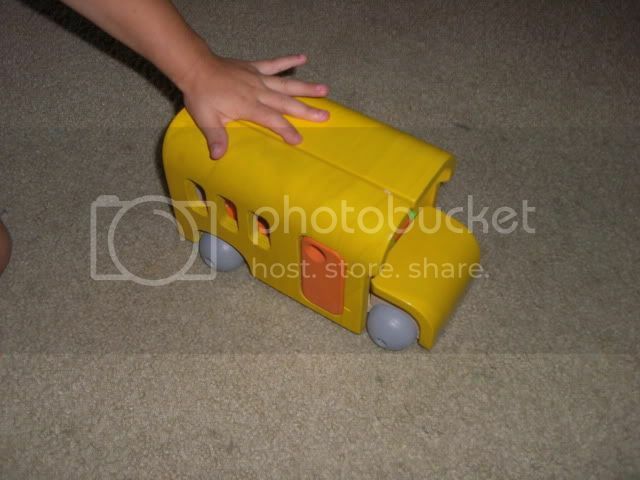 As soon as I took the Activity Bus from Plan Toys out of the box my little one said "school" and started pushing the bus around. 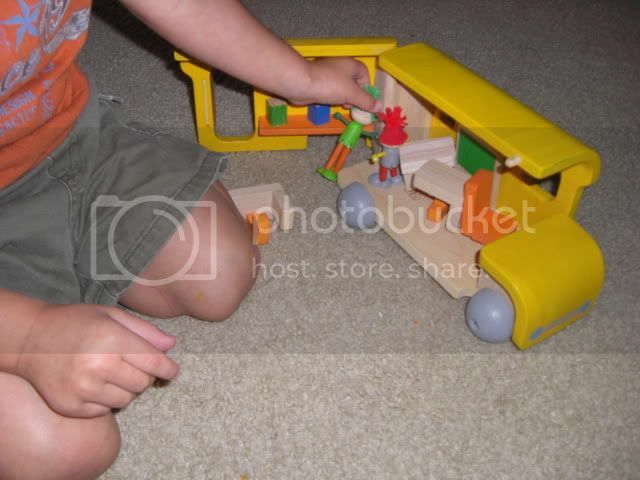 When I opened the bus up and showed him the books, desk, people, chalkboard and that the the people have poseable legs so they can sit or stand,the look on his face was priceless. I wish I could have snapped a photo of the expression on his face. He sat and played "school" for what seemed like forever. I was really surprised how long it kept his attention. 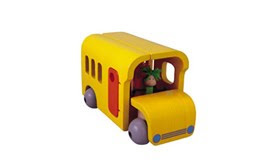 As a mom what I really like about the “Activity Bus” from PlanToys is that it is made of wood and very durable and well made to withstand my rough and tough boys. eBeanstalk is a place where you can give expert selected newborn toys, baby toys, toddler toys and toys for a preschooler. All of our learning toys are packaged into a GIFT SERIES, where every three months a new gift arrives that is perfectly suited the appropriate stage of a child’s development. 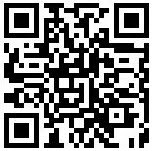 Green - As a Green company, we strive to use environmentally safe, responsible and sustainable methods to produce our Green Toys. We are committed to minimizing our impact on the environment. Smart - The educational merits of our toys are recognized by some of the most prestigious awards in our industry such as the Parents' Choice Award and the Oppenheim Toy Portfolio Award.